Best Places To See In Austria - 10 Day Itinerary - A World to Travel. Austria is one of the most beautiful countries in Europe. From cities filled with over the top Baroque architecture and charming little villages to green hills and snow-capped mountains, Austria has a lot to offer. If you imagine mountain pastures with cows, women in dirndls and jugs of beer, when you think of Austria, you’d be right. Austria is filled with Sound of Music type idyllic settings like these, but there is so much more to the country. Each region has a distinct style, character, and highlights. This 10-day itinerary crosses the country from east to west, taking you through a variety of landscapes, exploring the best places to see in Austria. There is no more fitting place to start a trip through Austria than in the capital Vienna. Everything about Vienna breathes old European glamour: wide lanes lined with buildings of white marble, gold and green copper rooftops. Between the opulent Baroque palaces stand to impose Gothic churches. But don’t let the elegance fool you, behind the exterior of Opera and fine arts, lies a young, vibrant and hip city. If you plan on checking some of the excellent museums in Vienna, it is worth investing in a Vienna Card. While Vienna has an excellent public transportation system, you’ll need a car to reach the best places in the rest of Austria. So, once you have taken in the luxury and glamour of Vienna, it is time to hit the road. 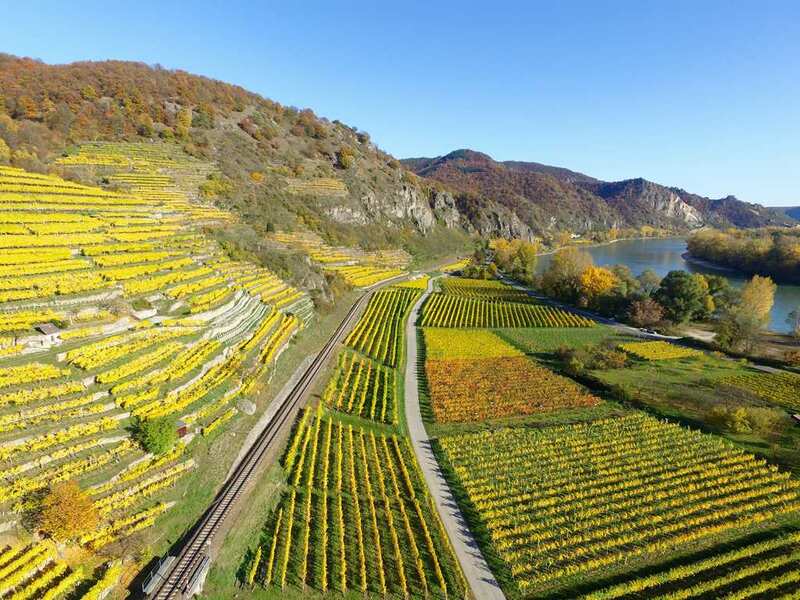 To the north of Vienna lies Austria’s premier wine region: Wachau. The gentle slopes of the Danube Valley lend themselves perfectly to the cultivation of vines. Austrian wines may not have the same world fame as Italian or French vintages, but they produce some quality whites. Most notable are the Grüner Veltliner and ultra-dry Welschriesling. On the other hand, Austrian food isn’t bad either. Start by driving to Krems an der Donau at the northern end of the Danube Valley. Follow the Danube south with the sparkling blue water of the river to your left and rows of green vines to your right. Occasionally, you’ll spot an abbey or castle perched on a hilltop. There are several lovely towns on the banks of the Danube, but Dürnstein is particularly worth a stop. Walking through this little village is like stepping into a storybook. The narrow streets and colorful houses look like they belong in a fairytale. Hike up to the ruins of Schloss Dürnstein for a different perspective on the valley. Although the Danube continues, the valley ends at Melk, famous for its beautiful Baroque abbey. 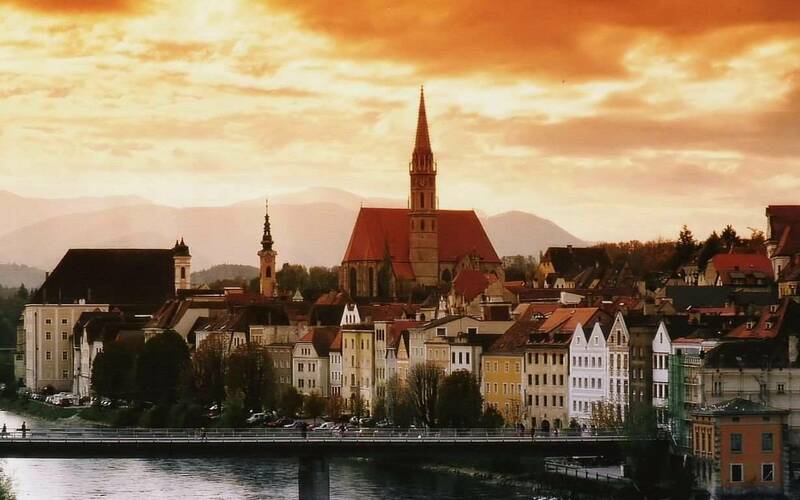 Take a look if you’d like and then proceed to your final destination of the day: Steyr. Steyr is one of those places where time has seemingly stood still. 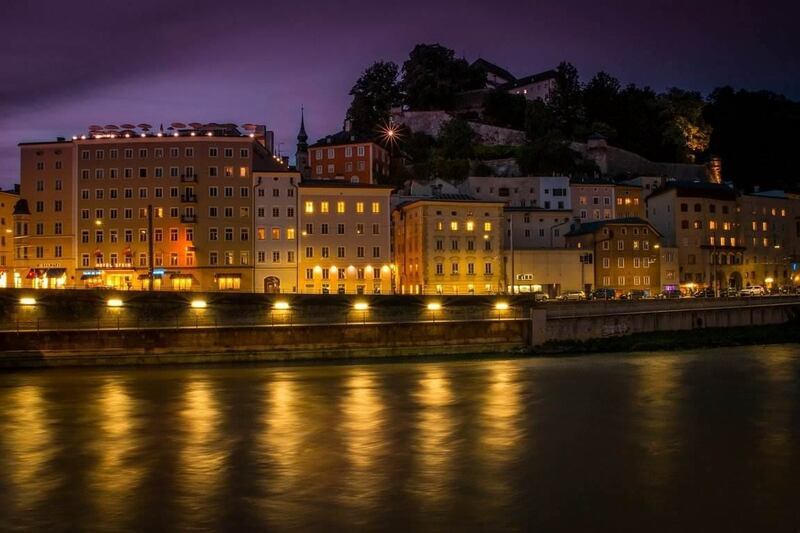 The picturesque Medieval historical center of Steyr is perfect for a romantic evening stroll. Be sure to take in the view from the Schwischenbrücke that connects the two old parts of the city. After spending the night here, we get to our first real hike. Right below Steyr lies the Kalkalpen National Park, an imposing mountain range. There are lots of routes running through the National Park, including a few long-distance trails. One of those is the Luchs trail, a 200-kilometer trail through the Austrian wild and the habitat of its namesake the lynx. The second stretch of the Luchs trail offers one of the most scenic hikes in the Kalkalpen. A 7-hour route takes you along waterfalls, flowery alms, a chapel, and several viewpoints to take in the splendor of the Kalkalpen. Every Austrian town has a “house mountain,” the mountain closest to the city where locals go for a stroll on the weekends. For Steyr, this is the Damberg. For a shorter and less demanding hike, walk to the top of the Damberg and climb the watchtower for an even better view. This will take around an hour. You can add a hike to the neighboring Spadenberg if you want to increase it to 4 hours. After hiking, it is on to the Salzkammergut. This region used to be mined for salt and is home to some of the most beautiful landscapes in Austria. Stay overnight in Bad Ischl before exploring this area the next day. The Hapsburgs used to summer here in their beautiful palace to enjoy the fresh air and the natural hot springs. 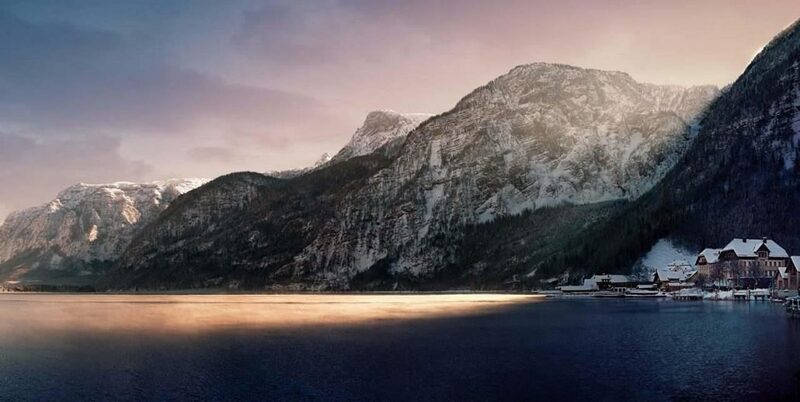 The Salzkammergut is famous for crystal clear lakes between dramatic mountains. Avoid the over touristic Hallstatt and instead, take the road along the stunning Wolfgangsee to Salzburg. Salzburg is a city of music as both the birthplace of Mozart and the setting for The Sound of Music. In the summer, Salzburg is the stage for the Salzburger Festspiele, an annual theatre and music festival. In winter, the city turns into a winter wonderland with some of the best Christmas markets in Europe. The rich history of Salzburg warrants a two-day stay to see all the sights of this charming city. Explore the pretty streets of the Old Town a UNESCO World Heritage Site. Visit the beautiful churches and palaces and for the best sunset views, hike up the Kapuzinerberg. Today, we are finally getting to the most famous region of Austria: Tirol. The steep slopes of Tirol are already a favorite among skiers, but they also lend themselves to some spectacular hiking during the summer. The road to Tirol will take you for a quick trip across the border to Bavaria and back. Take in the view as the mountains get higher and higher the closer you get to the small town of Fieberbrunn. Fieberbrunn is a typical skiing town during the winter and quiet during summer. Spend the night and rest up for a two-day hike in the Tiroler Alps. From Fieberbrunn there are several hikes you can do. I recommend hiking to Wildseeloder. The walk takes you through different types of terrain: forest that ends in alms, which in turn fade into barren rock. The hike up to the 2118 peak offers a stunning panorama of the surrounding mountains and valleys. For a more leisurely walk, there is a cable cart available that runs to about halfway up the hill. Adventurers can supplement their hike with some rock climbing as well. The only thing better than reaching the top of a mountain is waking up there. 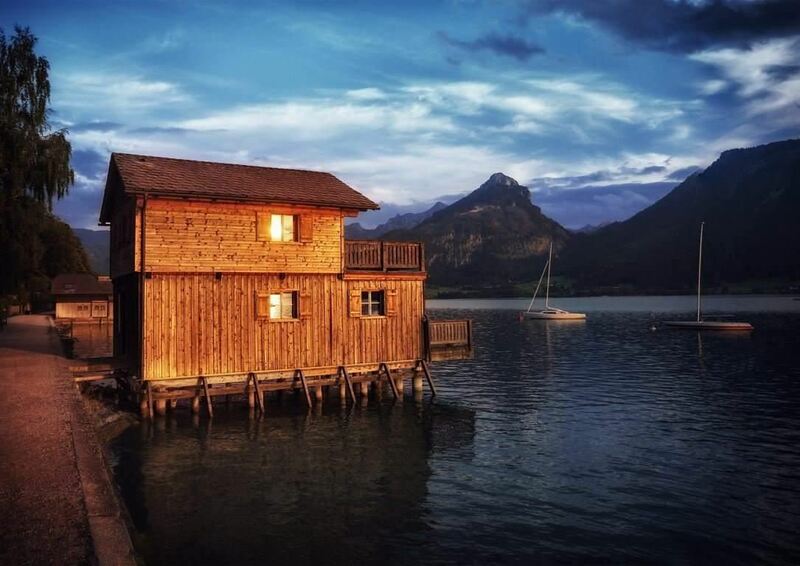 Book an overnight stay at the Wildseeloderhaus for excellent Austrian food and an incredible sunrise view. Let the crisp mountain air reinvigorate you for your hike down the other side of the mountain. The priority should be to ensure you and those alongside you are safe. 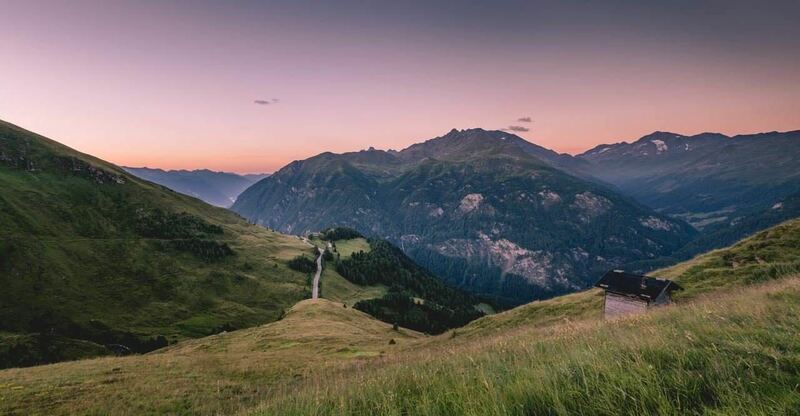 This may include paying for an experienced guide to accompany you through the trek, therefore staying safe while showing you the incredible views of the Tirol mountains. Secondly, you need to make sure you are prepared. It is vital to carry water to keep hydrated, a first aid kit in case of accidents that could occur on the hike and finally your warmth is imperative. A warm and comfy coat, for example from Belstaff, can make the experience much more enjoyable and it can also be used all around Austria to combat the harsh weather conditions. Other key items to make sure you take are comfy walking shoes, energy bars and a plastic bag to ensure the scenic mountains are not littered with your rubbish. You will want to remember the Austrian mountains for its magnificent views and not remember it for nearly turning you into an icicle! On your way back to Fieberbrunn you’ll meet a few friendly cows and, if you’re lucky, even an Alp marmot. Once you’re back in the car, it is all systems go to the next literal highlight. The Grossglockner High Alpine Road is the best road in the world. Don’t take my word for it, it was named so by several sources, including Top Gear. This road runs through the Alps, connecting the regions of Salzburg and Carinthia. 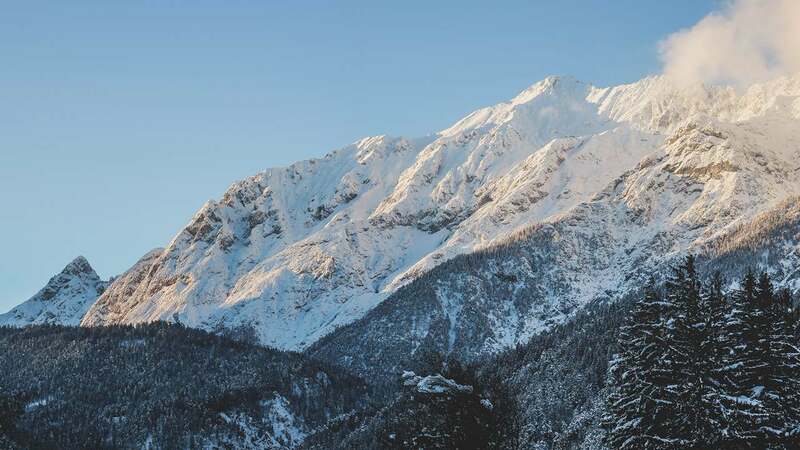 It winds up to the Edelweisspitze at 2000 meters in 36 breathtaking turns. Here it’s all about the journey, not the destination, as the panoramic views of the Austrian Alps will make you want to stop and take pictures at every bend. As you climb higher and higher, you can see the Grossglockner mountain, which at 3798 meters is the highest mountain in Austria. From here, keep driving in Austria on to the final stop: Innsbruck. Austria is a country where history and traditional culture are still very much alive. You’ve seen it in the dirndls and farmhouses, the palaces of Vienna, the historic center of Steyr, and the ancient mountains of Tirol. But there is also a young and modern side to Austria and Innsbruck is its undisputed center. Innsbruck is a small University city with a vibrant nightlife and rich alternative cultural scene. 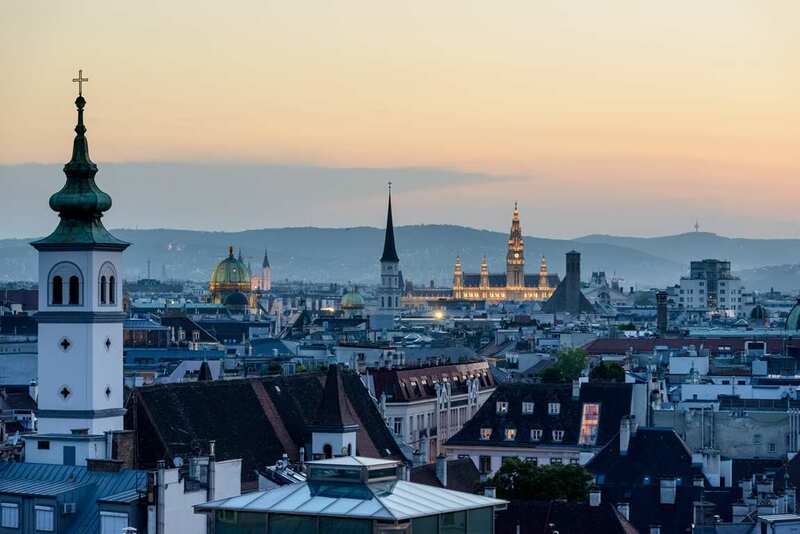 Take a day to explore the part of the Altstadt that survived the Second World War and learn more about traditional Austrian culture at the Volksmuseum. At night, take in the alternative art and hip nightlife. This is where our itinerary ends, but it doesn’t have to be the end of your trip. 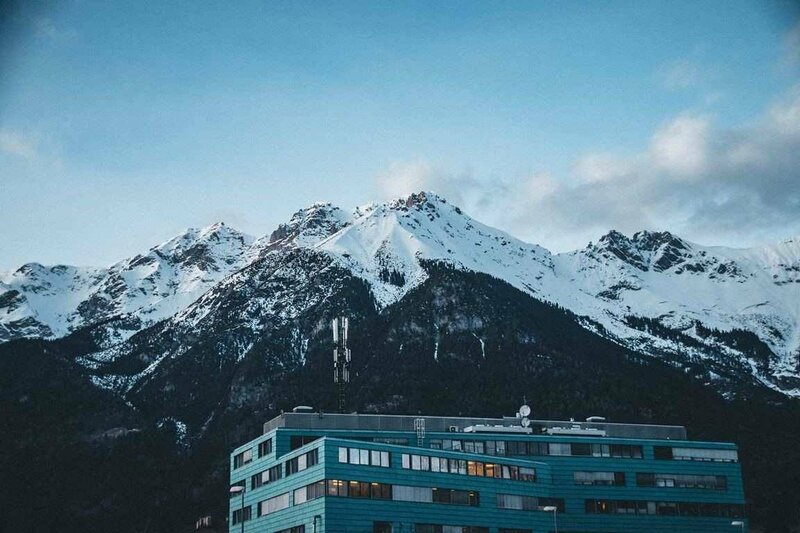 Surrounded by mountains on all sides, Innsbruck lends itself perfectly as a base for hiking and day trips into Tirol and the Vorarlberg region. You have seen the best of Austria, but you certainly haven’t seen all. Sophie is a Dutch-born travel blogger and freelance writer with a love for languages and exotic cuisine. Bored by the rain of the Netherlands and the routine of her everyday life, she decided to quit her job to travel. She got hooked on the freedom of solo travel from the very first taste and fuelling her wanderlust, aching to see all the beauty the world has to offer. Now, home is wherever she puts her bags down, and her office is anywhere with an internet connection. To see where that might be today, follow @justheadingout on Instagram and Facebook and read all her tips and recommendations on her blog. thank you for sharing this is useful article.